This year, the Sports Medicine Division had the honor of hosting the annual Arthroscopy Association of North America Traveling Fellowship. 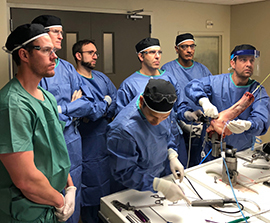 Four talented surgeons were selected from throughout North America to be a part of this academic exchange - Dr. Ivan Wong, Dr. Kelly Kilcoyne, Dr. Diego Pérez-Salazar Marina, and Dr. Matthew Salzler. Dr. Les Matthews was the godfather of the program this year. During their time at NYU, they participated in both academic and social events. These included presentations at Grand Rounds, numerous academic conferences, visits to the operating room, and a surgical lab hosted by Arthrex. 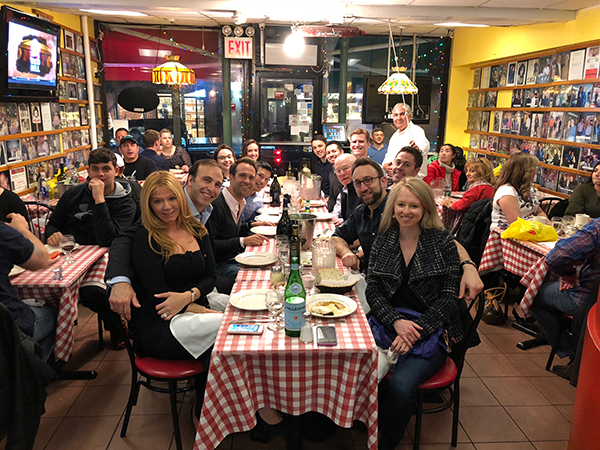 Outside of the hospital, the traveling fellows went on a tour of New York City, shared meals with the department at La Mela and Irvington NYC, both local favorites, and went to the Broadway musical Come From Away. It was our absolute pleasure to host these individuals as part of this prestigious academic exchange. Dr. Leslie S. Matthews has been the Chief of Orthopedic Surgery and Director of Orthopedic Residency Training Program at Union Memorial Hospital, Baltimore, MD since 1992 and Assistant Professor of Orthopedic Surgery at Johns Hopkins Hospital since 1982. He received his M.D. from Baylor College of Medicine and training from Johns Hopkins University. He also has an MBA from the Sellinger School of Business, Loyola College (2003). He has served on the editorial board of several medical and academic journals, including Orthopaedics Today, the Journal of Arthroscopy & Related Surgery and the Journal of Bone & Joint Surgery. He was Treasurer of Arthroscopy Association of North America from 1993 to 1996, 2nd Vice President from 1996 to 1997, 1st Vice President from 1997 to 1998, and President from 1998 to 1999. Dr. Ivan Wong currently serves as Associate Professor at Dalhousie University. Dr. Wong grew up in Prince Edward Island and graduated from Acadia University. Dr. Wong went on to complete his Medical Degree at Dalhousie University, Orthopaedic Surgery Residency at McMaster University and Fellowship in Sports Medicine and Trauma at the Southern California Orthopedic Institute in Los Angeles. Dr. Wong more recently completed a Masters in Academic Medicine at the University of Southern California focusing on surgical skill translation from model to operating room. He has constantly been striving to innovate and make procedures less invasive, with smaller incisions, less pain, and shorter downtime. He is committed to advancing his field of specialty. He has helped to train medical students, residents, fellows in sports medicine, as well as orthopedic surgeons in sports medicine and arthroscopic procedures around the world. Dr. Wong is also a founding member of the Arthroscopy Association of Canada, and sits on numerous review boards and committees. In his free time, Dr. Wong is active with climbing, surfing, snowboarding, traveling, and enjoying time with his wife and family. Dr. Kilcoyne graduated from the University of Maryland School of Medicine in 2007 and completed his training at Walter Reed Army Medical Center. Dr. Marina currently serves as Professor at Universidad Anahuac and orthopaedic surgeon at Hospital German Diaz Lombardo in Mexico. He received his MD from the Universidad Anahuac and completed his training at Universidad Nacional Autonoma de Mexico. Additionally, he has completed a rotation in Joint Surgery of the Shoulder and Hip Knee at Nuffield Orthopedic Center, Oxford UK. Dr. Salzler currently serves as Assistant Professor at Tufts University School of Medicine. 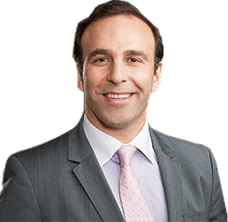 He received his medical degree from Columbia in NYC, completed his internship in General Surgery at MGH, his Residency in the Harvard Combined Orthopedic Residency Program and his Fellowship in Orthopedic Sports Medicine at the University of Pittsburgh Medical Center. Dr. Salzler is the team physician for Tufts University, Emerson College,the Quincy Militia, and Quincy High School and the former assistant team physician for the Pittsburgh Steelers, the University of Pittsburgh, and Carnegie Mellon.